Two adult passes to Glenwood Hot Springs Pool per reservation. The room rate shown is inclusive of these items. *Please note the rates displayed are per night averages. Fall/Winter/Spring: Two adult passes to the worlds largest Hot Springs Pool. Two adult passes to the world's largest Hot Springs Pool. 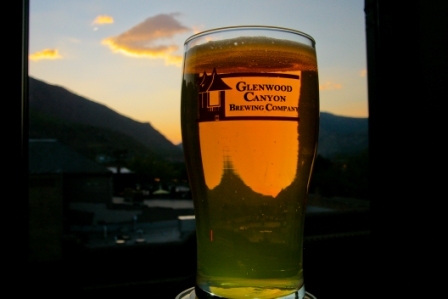 Glenwood Canyon Brewing Company: $20 gift card. General Policy: Required check-in age is 21. All rooms are non-smoking. Cancellation Policy: Cancel by 9 am local hotel time the day before arrival, to avoid a one-night cancellation charge. Pet Policy: We accept one or two pets per room at no extra charge in some room types. Colorado Rooms are spacious rooms with views of the Colorado River and surrounding mountains. Colorado rooms have one queen bed and a seating area. 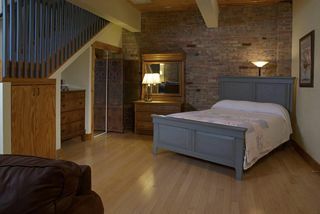 The rooms are tastefully and comfortably decorated with antiques and comfortable quilts. High-def televisions and free wireless are available in these very special rooms. 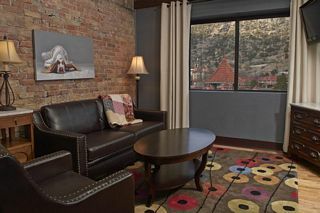 Queen view rooms have one queen-sized bed and feature views of historic downtown Glenwood and its surrounding mountains. 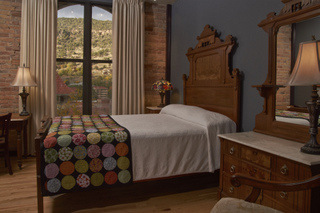 The rooms are uniquely decorated with turn-of-the-century antiques and cozy quilts. High-def televisions, and free wi-fi. Double queen rooms are large rooms that sleep four. Each has two queen beds.. 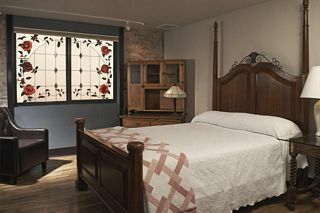 The rooms are uniquely decorated with antiques and cozy quilts. Free WiFi and high-def televisions. Double queen rooms face the lovely Hotel Denver Atrium or patio. Best value for the price and pet free! Denver Rooms are recently renovated rooms with limited mountain views. 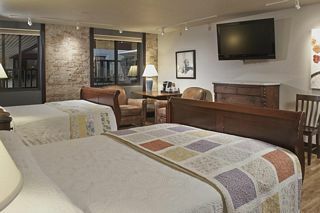 Each Denver Room has either a king bed or a queen poster bed with inviting quilts and warm antiques. Pets are not allowed in Denver Rooms. High-def televisions and free wireless are available in these comfortable rooms. The Cupola is our largest suite, featuring a dining/sunroom and over 1,050 square feet of space. The Cupola sleeps four with one bedroom that closes off for privacy. The Cupola is on two levels for space, comfort and versatility. High-def televisions and free wireless are available in this unique room. These interior queen rooms have one queen-sized bed with an interior view, free WiFi and high definition television. Each is uniquely decorated with antiques and cozy quilts. Views are toward our beautiful indoor plaza, or have stunning stained glass.